By Karen Le Roux, based on text provided by Wendy Luhabe. 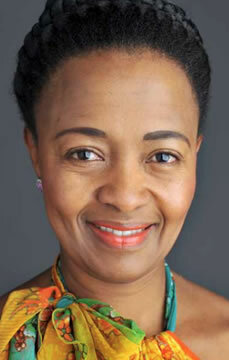 An intuitive thought leader committed to breaking the shackles of mediocrity – a malaise that she believes is destroying the fabric of contemporary society – Wendy Luhabe, pioneer, visionary and advocate of learning through doing, is intent on creating the space where others can grow, evolve, challenge and contribute. Luhabe, dynamic businesswoman, social entrepreneur, economic activist, author and champion of women’s rights in all streams of society, has already left her formidable footprint on South Africa’s emerging landscape. Ranked amongst her long litany of achievements, achievements recognised right across the globe, are co-founder of the former JSE-listed Women Investment Portfolio Holding, a flurry of appointments as director and chairperson, most notably of the Industrial Development Corporation and the Industrial Marketing Council of South Africa, and inspired member of international innovation and initiative think tank, The Club of Rome! Luhabe’s unequivocal pursuit of a dream was gently nudged and nurtured by a compelling collection of teachers, politicos and business greats, men and women who quickly identified the strength, courage, intelligence and business nous inherent in the youthful rising star from the downtrodden streets of Daveyton. “I was shaped by many people, primarily my mother,” recalls Luhabe, while “an early unplanned pregnancy at the age of seventeen taught me much too early about the principles of responsibility and the consequences of our actions. “My mother was ahead of her time. She was courageous and visionary in her own limited way. She did not let circumstances get in the way of her plans for her life. To witness such rare qualities at a tender age was an inspiration second to none,” enthuses Luhabe with obvious pride. “I had amazing teachers who were truly inspirational, among them Matthew Goniwe,” anti-apartheid activist and member of the doomed ‘Cradock Four’ who were assassinated by apartheid police in 1985. “He was the best maths teacher I ever came across. “I was exposed to political debates at a very young age as I was growing up in Cradock. From people like Rex Luphondwana and Charles Nqakula, former Minister for Safety & Security and later Minister of Defence, who shaped my political consciousness and helped me to understand the brutality of the apartheid system. “People like businessman, Johann Rupert, who gave me my first job opportunity after looking for almost a year without any results, were instrumental in helping me to feel acknowledged as a human being. “People like Dr Eberhard von Koerber, managing director of BMW in the early 80’s, who employed me at BMW South Africa and motivated for me to go and work overseas for three years. “People like Nick Dennis, former CEO of Tiger Brands, who invited me to my first board appointment at the age of thirty-six. Luhabe, who relies on her sharpened sense of intuition and intrinsic common sense – a personal blessing she “would love to bottle and sell because there is a massive shortage of it in the world” – has a definitive road map of methodologies and practices that has lent credibility and weight to her role as a leader of extraordinary morality, integrity and endless potential. “I learnt discipline and focus, both essential qualities in making progress in life,” while suffering fools is clearly not on her agenda.“I surround myself with people who know more than I do, who are both interesting and challenging,” claims Luhabe. “I only work with people and pursue opportunities where I can both learn and contribute. I ask questions when I do not understand something and I have developed exceptional perceptive and listening skills over the years which have enabled me to respond to challenging situations.” Throw in the additional ingredients of active ideas guru, knowing exactly what she is really good at, and the propensity “to create space for the universe to use me as it wishes and as it intended for me” instead of simply setting goals, and it is crystal clear why Wendy Luhabe comfortably occupies an elevated leadership position in South Africa, and the world! To Luhabe, leadership is the capacity to create the space where others can develop, flourish, question and contribute. “The single purpose of leadership is for others to be the best they can be, to do things they never thought were possible, to realise as much of their potential as possible.” Luhabe is a strong proponent of ‘action learning’ in leadership development, where people are actively encourage to observe and learn from real life experiences. Among the tools she employs to enhance and enrich the developmental process are those “that encourage constructive feedback, threehundred- and-sixty degree performance reviews, blind spot management, play, and so on. “Leadership needs to be rotated so that leaders can be exposed to different functions and different circumstances to enable them to discover the circumstances where they come alive,” advises Luhabe. “Leadership development serves some purpose, but ultimately we learn by observing others and by doing things ourselves. It would help to use people in leadership development programmes who themselves are living examples of exceptional leadership, who can teach from their personal experience. Theory is sometimes too far-fetched from reality. I am more an advocate for action learning.” Her unwavering belief is that leadership development “has to be on-going, active, keeping up with changing circumstances, inter-generational, open-minded, experiential and inspirational. Not many people want to emulate mediocrity, but if that’s all that is modelled then we can’t blame people when they assume that to be the standard or benchmark. Asked whether current models of leadership development are fulfilling their mandate, Luhabe believes “we would know we are successful if we had high levels of skills retention, performance, fulfilment, trust, personal growth and career development, fair and equitable employment practises, high levels of ethics, and integrity.” Although there are a multitude of young leaders who energise and inspire Luhabe, she is particularly impressed with Ezra Ndwandwe, product development chemist, global management consultant, operations and projects strategist, MBA graduate, founder and CEO of Dual Point Consulting and, most recently, creator of the local TV reality show, ‘The Big Break Legacy’. “Ezra Ndwandwe is an example of a change maker on the ground who is making a difference by cultivating and promoting a culture and an ecosystem for entrepreneurs to flourish and multiply,” a trail effectively blazed before him by the perseverance, tenacity and singular intelligence. Interesting article, I strongly agree with Wendy, leadership is a challenge in our world today. Leadership is mixed with power in some of our leaders of today. Leadership is putting others before yourself and it can’t be faked. We therefore need ongoing leadership development for the coming generation. I am prepared to help and use the experience I have for our next generation.